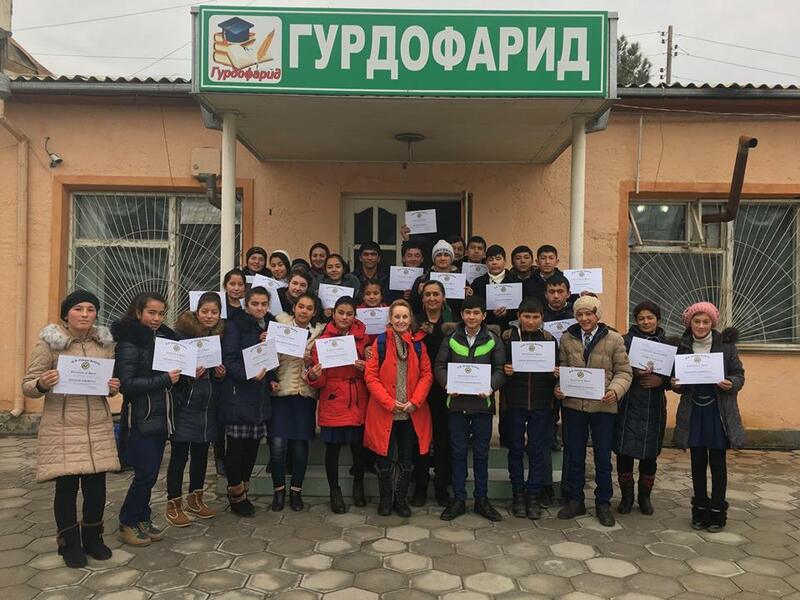 In the Game and Peabody-award winning director Maria Finitzo traveled to Tajikistan with the American Film Showcase this past December 8-17 to screen In the Game. The film was chosen by the U.S. State Department to be one of the 10 films to participate in the program, and In the Game and Finitzo are scheduled to travel to India and Morocco in February and April with the showcase. In the Game screened at six different American Corners, partnerships between the Public Affairs sections of the US Embassies and host institutions that provide access to current and reliable information from and about the US. Each screening was followed by a discussion around the empowerment of women and girls through sport, the encouragement of mentorship for girls and the role of women in the promotion of social change. December 10th: Dushanbe. The film screened at the American Corner in Dushanbe to NGO leaders, documentary filmmakers and journalists. December 11th: Dushanbe. The film screened for the public at the Ismaili Center, followed by a Q&A. December 12th: Isfara. The film screened at the American Corner in Isfara to NGO leaders, journalists, and Access Microscholarship Program participants, who receive a foundation of English language skills to 13-20 year olds from economically disadvantaged sectors through after-school classes and intensive sessions. Following the screening, Finitzo handed out certificates to the young men and women involved in the program. Said Finitzo, "One young man told me it was his dream to visit America and a young girl said that the film touched her so much because she felt like it was her story and the stories of all girls in Tajikistan. Finally their teacher said that the story of the girls from Kelly High School had given her hope for all that she was trying to achieve in her own life." December 12th: Khujand. The film screened at the American Corner in Khujand to the Khujand and Qayrakkum women's soccer teams. December 14th: Kulob. The film screened at the American Corner in Kulob to NGO leaders, documentary filmmakers and journalists. December 15th: Gharm. The film screened at the American Corner in Gharm to NGO leaders. December 16th: Qurghonteppa. The film screened at the American Corner in Qurghonteppa to NGO leaders, documentary filmmakers and journalists. In the Game heads to India and Morocco in 2017! Stay up to date on what's happening with the film, and learn how to contribute to the film's cause here.